While browsing Quantpedia I came across another interesting trading strategy called the Half-day Reversal. This is a short-term, mean reversion strategy that buys the worst performing stocks in the S&P 500 and holds them overnight. 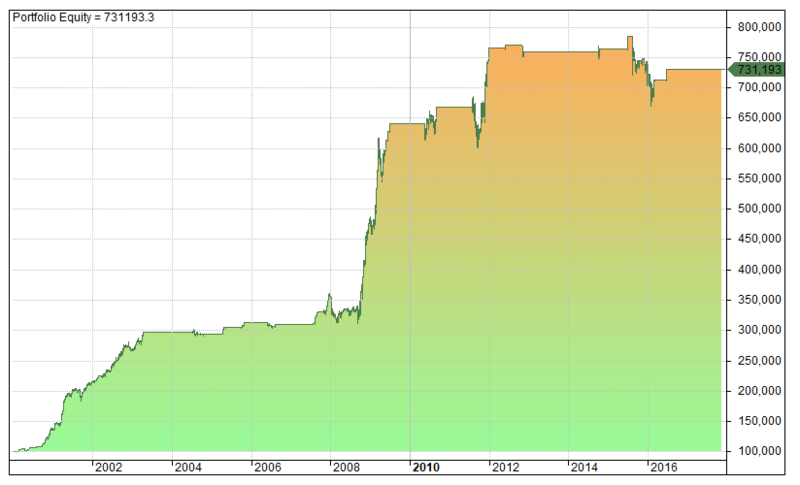 The indicated performance is 57.7% per annum with a Sharpe ratio of 3.03. These are incredible numbers so let’s put the system to the test and see how it stacks up. The original source paper for this strategy is called Profitable Mean Reversion After Large Price Drops by Dunis, Laws and Rudy. 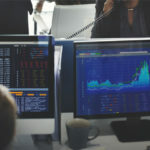 The authors show that a contrarian strategy of buying the worst performing stocks during the day and holding overnight generates significant alpha. They find that the strategy works well for S&P 500 stocks, 400 mid cap stocks and 600 small cap stocks. 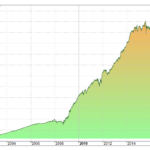 The investment universe consists of all stocks from the S&P 500 index. The strategy buys the N ( 50 stocks in first decile) worst performing shares from the open-to-close period (decision period). These shares are bought when the market closes and they are held until the next day’s market open. They are subsequently sold for the opening price. Shares are equally weighted in the portfolio. Now we know the rules we can set up this strategy and run some tests. Basically, we are going to buy the 50 worst performing stocks in the S&P 500 each day (measured from open to close). We will buy on the close and then exit the next morning on the market open. 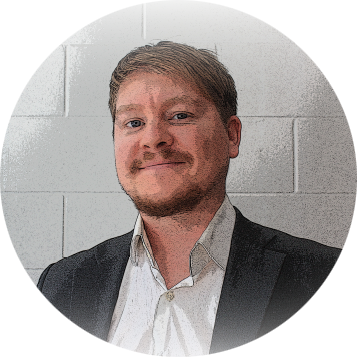 Our starting capital will be set at $100k and will be split equally between each stock. 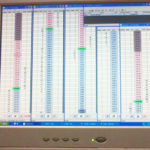 For the analysis I will be using the backtesting platform Amibroker with daily stock data from Norgate. This data is adjusted for dividends and splits and includes delisted members. The half day reversal strategy generates a 25% annualized return on S&P 500 stocks before transaction costs. As you can see, we have recorded an incredible result. Our starting capital has ballooned to $5.8 million and we have produced an annualized return of 25.42% with a win rate of 52.74%. However, our average profit per trade is only 0.10%. That might prove to be a problem when we introduce transaction costs. 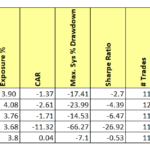 The following results and equity curve show performance of the same strategy this time with transactions costs added. Performance has declined with the introduction of trading commissions. As you can see, our profitable system has degraded with the introduction of commissions. The annual return has dropped to 4.4% and the average profit per trade is only 0.02%, a very slim edge. 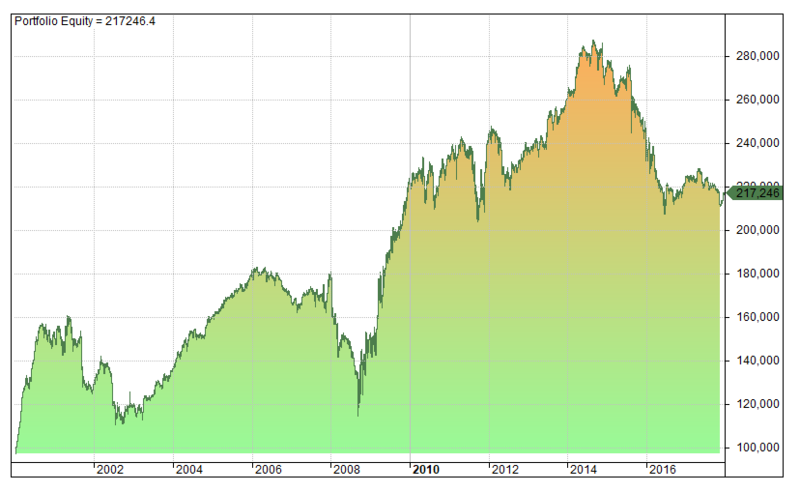 This result is lower than the buy and hold annualized return of 5.40% on SPY. According to the original paper, the strategy can also be applied to small cap stocks, specifically the S&P small cap 600 universe. 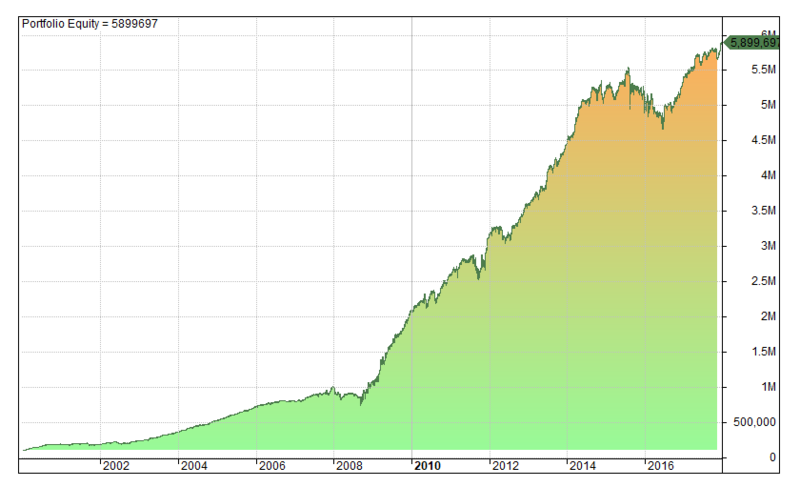 The following results and equity curve show performance of the same strategy as above this time applied to the S&P Small Cap 600 universe. The Half Day Reversal strategy was looking pretty good on small caps until 2011. As you can see, we’ve produced a decent result trading small caps with an annualized return of 16.16% and a 47% win rate. 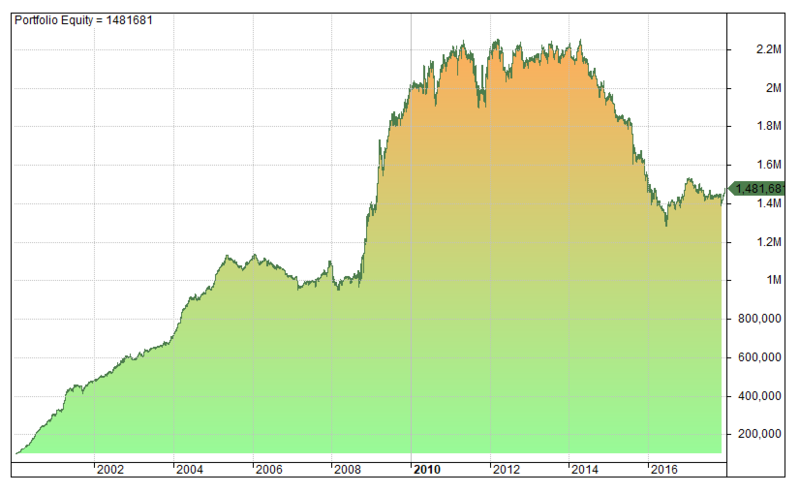 On the downside, the strategy has a large drawdown and has performed poorly since 2011. Finally I decided to test the same strategy as above but limit trades to bear markets only. 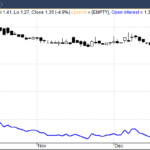 The Half Day Reversal Strategy proves to be a decent performer during bear markets. As you can see, limiting reversal trades to bear market periods has reduced drawdowns and thereby improved our risk-adjusted returns. The average profit per trade is now 0.16% with a Sharpe of 0.45. 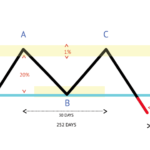 Reversal strategies like this one often perform well during bear market conditions. Before we wrap up it’s worth considering another potential issue with this strategy. The strategy involves going long the worst performing 50 stocks, simultaneously on the market close. However, market on close (MOC) orders typically need to be sent 15 minutes before the close. You have no way of knowing which stocks are the worst 50 until the market is closed and prices have settled. So I cannot see that there is an accurate method to buy the 50 worst stocks of the day. The Half Day Reversal strategy produced some good returns in backtesting but those results deteriorated with the inclusion of realistic transaction costs. There were some interesting profits found in small caps but once again we were unable to corroborate the strong results shown in the source paper. This could be because the paper uses less stringent transaction costs or it might be that the authors did not include delisted stocks in their analysis. Another problem with this strategy is that it is difficult to implement due to the execution issues discussed above. For these reasons combined, we don’t feel that this strategy is worth pursuing in its present form. If you are interested in strategies that are worth pursuing I recommend you to check out our program Marwood Research. 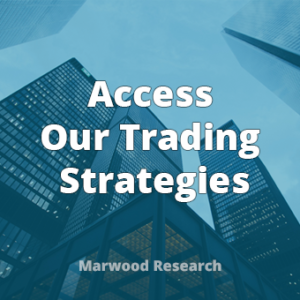 Marwood Research specializes in backtested trading strategies, investing education, algorithmic trading and coding. What if exit position on close next day? Have you maybe checked such half day strategy for best 50 stocks? Yes I have. Drawdown increases and return stays roughly the same. Great work as always, Joe! This shows why academics usually do not make good traders – I saw the “buy on close” issue immediately, and I knew you would too. Thanks Kevin, good to hear from you again. Loved your book.